IMS is an SME building company with long standing employees, both site and office based. We have a fantastic staff retention and work very closely with many of our preferred subcontractors. Much of our work is either via recommendation or repeat business and is very much client relationship based. It is essential to our business that we maintain and build on that aspect of our model, and any applicant would be needed to further build on those relationships, both old and new. We carry out reactive works for different Government departments and they can be very demanding. As you could imagine, if a Minister barks his subordinates jump! We have built a reputation for being able to respond accordingly and this only achievable with team work. It is therefore essential that any applicant is able to integrate into a tight knit and longstanding team of individuals, both office and site based. On average there would be 5-6 people in the office with various drivers and operatives coming and going. At any time, there are 30-40 long standing tradesman and engineers on site working under highly qualified site managers. Through continual training and compliance with current regulatory requirements we feel that as a company the future for us is bright, however there is a need for us to be able to add to the team with likeminded, enthusiastic individuals over all skill bases. All applicants will require to be security cleared and pass enhanced DBS checks to work with us. Please feel free to email your CV: mfahey@imsbuildingsolutions.co.uk or call us should you feel that you would benefit both yourself and our team. 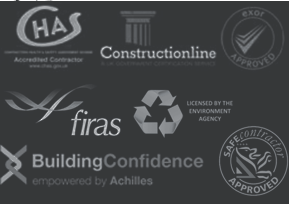 We would be interested in meeting anyone prepared to meet the above criteria from all trades within the construction industry. We are currently looking for QS’s site managers and all trades.